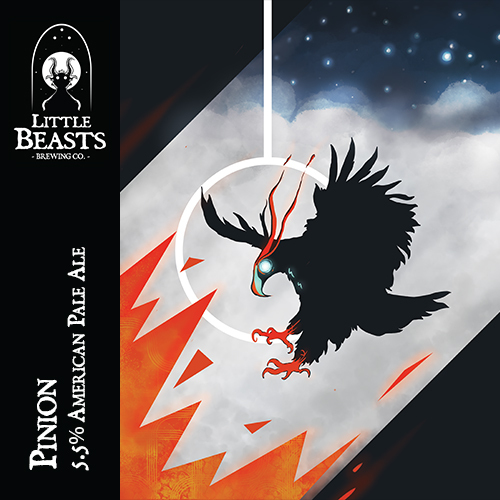 Pinion - Little Beasts Brewing Co.
5.3% American Pale Ale. A super balanced pale ale. A light malt backbone supports a beer that is hop forward in flavour rather than bitterness. The hop notes are soft and inviting and feature notes of lemon, pith and dill with a light hit of dank hop in the background.